Is it possible to have too much money? Really? Are you kidding me? If we posed this question to 100 people, the odds are that 98 would answer “no” with the remaining 2 speechless. As with most things in life, people tend to believe that more is better; but we believe that an exception to that rule could be made in the case of money. Let’s start by trying to define what “too much” would look like. How do we know that we have too much? One way is to look at the burden that money imposes on your life. For example, many wealthy people cannot blend in with regular society since they are at risk of kidnapping or extortion plots. They have 24 hour guards accompanying them as well as secluded properties. Although we may envy their lifestyles, their money has made them outcasts in regular society. At the other end of the spectrum are people of fairly modest means who have no idea what to do with the money they have accumulated through hard work, saving and investing. Their net worth may be modest relative to the wealthy, but their buying power is wasted because they aspire to a very modest lifestyle. In both of these instances, there is not an absolute number that defines having too much money. Rather, it all seems to come back to lifestyle and what you want to accomplish with your life. Bill and Melinda Gates certainly fall into the first category of uber wealthy. Although they certainly enjoy a lifestyle heretofore reserved for royalty, they have dedicated their lives, as well as their considerable wealth, to eradicating global disease as well as educational causes. 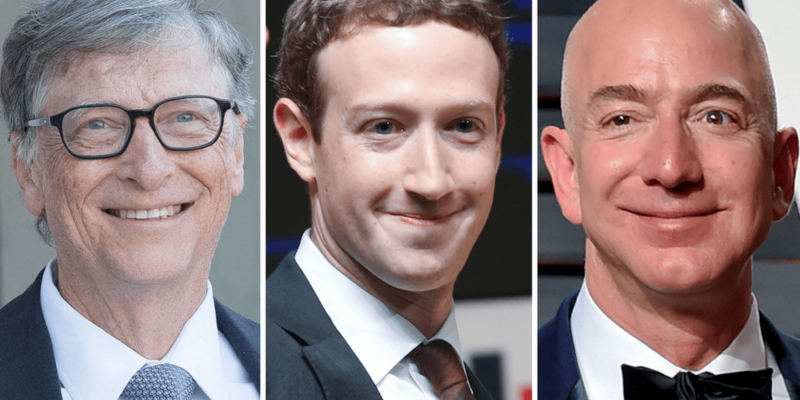 Gates and Warren Buffett rolled out “The Giving Pledge” to fellow billionaires in 2010 in which they pledge to give half their wealth to philanthropy. Is it possible to have too much money? If you plan to spend it on yourself I guess the answer is yes. If you plan to use it to help others, it would seem that the sky is the limit.